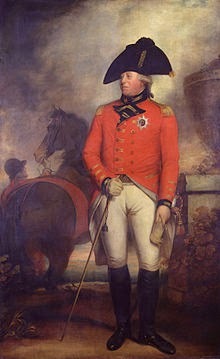 I like King George III (1738-1820) for many reasons, one being he was the father of the Prince Regent (the man who asked Jane Austen to dedicate a novel to him, and who spearheaded what we regency writers think of as a marvelous time in history-the Regency). His court was staid, formal and unexciting because the King was frugal and sensible and a family-oriented man. He was referred to derisively by his critics as "Farmer George," because he actually liked to garden. And unlike many royals before him and since, he never took a mistress, and he and his wife, Charlotte of Mecklenburg-Strelitz, had a happy marriage--and fifteen children to prove it. The King, moreover, was pious. He had bouts of increasingly agitated emotions, during which he spoke incessantly, and didn’t sleep. Eventually, he fell into delirium. 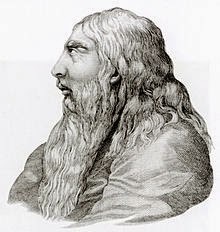 It saddens me when I read about the King's symptoms, because, despite his heavy-handed treatment of the American colonies, he generally sought to be a good man and monarch. Yet, we have him to thank for causing the early settlers on our shores to rebel, leading to the American Revolution; and, if he hadn't fallen prey to the mysterious malady that made him behave like a lunatic, we would not have had the "mad, bad, regency," that regency writers like myself just adore. When his illness grew so severe that he was unfit to rule, Parliament finally had to pass the regency bill (in January 1811) giving us the start of the regency. his pillow Prince Octavius, who ‘was to be new born this day.’ He gave orders to people who were long since dead and imagined that London was flooded.”ii He claimed to speak to angels, and it is said he once greeted an oak tree as though it were King Frederick William III of Prussia. Today, scientists agree that porphyria—a rare disorder of the synthesis of proteins in the blood—is to blame for George III’s symptoms. So a disease of the blood--not the mind--was behind the behaviour. century) thought him mad. But was the King mad? Still rare, porphyria is even sometimes mistaken for depression or derangement today. “George was afflicted with porphyria, a maddening disease which disrupted his reign as early as 1765,” is how one British website put it. Maddening, indeed! 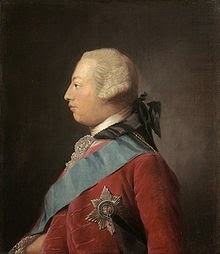 VERDICT: The insanity of King George was, strictly speaking, FICTION. Did you like this article? It was adapted from a PDF called "Fact or Fiction: Myths and Mysteries of the Regency," by Linore. Sign up for Linore's newsletter at her website and receive the full, illustrated PDF in your inbox. You'll discover whether the Regent really had two wives, whether Byron really was scandalously involved with his half-sister and the facts about other famous mysteries of the day. Enter your email to get the PDF today! Linore Rose Burkard is best known for historical regency novels with Harvest House Publishers, including Before the Season Ends, the award-winning The House in Grosvenor Square, and The Country House Courtship. As a writer known for meticulous research as well as bringing people marvelously to life on the page, Linore's books earn her devoted fans who report reading her novels over and over. Linore is a homeschooling mom who enjoys cooking from scratch, family movie nights, gardening and decorating. Along with writing novels, her literary pursuits include teaching workshops with Greater Harvest Workshops (for Writers), editing, and ghost writing. Very interesting, Linore. 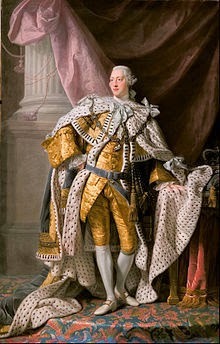 I remember reading about "mad King George." Now I can see why. Would be nice if historians went back and put the truth in our World History books. Very interesting post, Linore. Makes one wonder how he acquired so much arsenic (if not just through the medicine), and if other members of the royal family were exposed to the poison as well. I think it's time I re-read Before the Season Ends!